Gujarat : “Is Khema Bhai there?” B D Sagar shouted out in Gujarati to a small group of people sitting under a tree on a dusty knoll, in the outskirts of Mehsana city, in north-western Gujarat. Sturdily built Sagar, a senior treatment supervisor in Indias national tuberculosis (TB) programme, was searching for a TB patient, a tribal, called Khema Bhai Vanjara. A woman told Sagar that Khema Bhai had moved to another make-shift hut, five minutes away. “If this had happened in the past, we would have had no idea where the patient is,” explained Sagar confidently, in Hindi, with a laptop bag slung over his shoulder. “Now I have two ways of finding the patient I can call on the mobile number registered in the system or, I can go to the registered doctor, and ask him to inform me when the patient comes back,” he said, as he sat on his black motorcycle, plastered with the words “Govt. of Gujarat”. Sagar and Khema Bhai Vanjara are part of a pilot programme in the district of Mehsana, about 80 km north of Ahmedabad, to provide TB patients treated in the private sector which handles about half of all TB cases nationwide free medicines and counselling. In doing so, the programme hopes to address a major failing in India’s battle against a disease that takes more than two lives every three minutes, or 480,000 lives, every year. India has an estimated 2.8 million new cases of TB more than a quarter of the global burden every year. No more than 8.4 per cent of patients estimated to be treated in the private sector are registered with the government, leaving millions of India’s TB patients unmonitored, drug regimens incomplete and the disease as persistent as ever. In the second quarter of 2016, the private sector in Mehsana notified about 974 TB cases, more than 25 times the total number of cases registered in the first quarter of 2013 a mere 37 before the programme began. The programme, initiated by the Central TB division, part of India’s Ministry of Health and Family Welfare, attempts to engage private doctors to increase the number of TB patients registered with the public sector, and track the treatment completion of private sector patients. These patients are still treated within the private sector. Replicating the programme across India could help better assess the actual burden of TB in India, but the national TB control programme is short of funds to scale the programme nationwide. India’s national TB control programme received only about 50 per cent of the funds it requested from the government in 2015-16, a trend that has continued at least for the past four years, according to data from annual reports of the programme. Funding patients from the private sector would increase the total cost to the government. The pilot programme in Mehsana is funded in part by the Bill and Melinda Gates Foundation, but the funding is unlikely to continue after 2020. India underestimates the burden of TB by relying only on cases registered in the public sector, expert opinion and two sub-national studies in its calculations, according to a 2014 World Health Organization (WHO) report. In its 2016 report, the WHO revised its estimate of India’s TB burden upward, as IndiaSpend reported on October 14. 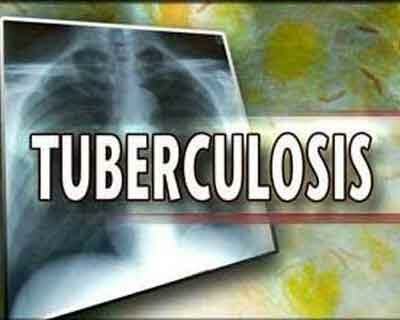 Of the 2.8 million TB cases estimated in India, in 2015, the public sector registered 56 per cent cases for treatment, or about 1.5 million cases, according to data from India’s revised national tuberculosis control programme (RNTCP). If the government cannot track private-sector patients, they might not complete treatment, adversely affecting their health and productivity, and making it more likely that the TB bacteria turn resistant to some anti-TB drugs. Drug-resistant TB is a more potent form of the disease that takes longer to cure, and is more expensive to treat than regular TB. India has about 80,000 estimated cases of multi-drug resistant tuberculosis, with about 16 per cent of previously treated cases estimated to be drug-resistant, according to WHO data. Recent efforts to measure TB cases estimate that the private sector treats 2.2 million TB cases at least as many TB cases as the public sector. The private sector in India could treat anything between 1.19 and 5.24 million patients in 2014, according to this 2016 study published in the Lancet, a medical journal, which based its data on the sale of drugs containing Rifampicin, the main anti-TB drug. It was only in 2012 that the government made it mandatory for private doctors to report cases to the government. Overall, notification rates in Gujarat and India have gone up by about three times. Gujarat registered 42.2 private-sector cases per 100,000 in 2015, up from 10.3 cases in 2013. India registered 14.4 cases per 100,000 people in 2015, up from 3.1 in 2013. Counselling by field workers and the incentive of free medicines, convinces several patients to return to their doctor. For instance, “patients who would have run away after the diagnosis, now come back,” said Sonal Choudhary, a doctor who has been a part of the programme since May 2016. This improves “patient adherence” to the treatment and medication, she said. But the success of the programme in Mehsana is greatly dependent on the work done by field officers, who act as the liaison between the programme, chemists and private practitioners, in addition to counselling patients.